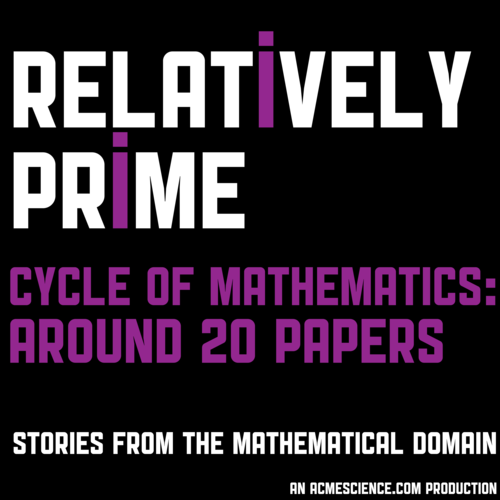 Welcome to the fourth and final episode of the Cycle of Mathematics mini-series from Relatively Prime. In this mini-series we are covering mathematics from its start as an idea to its publication to it inspiring the cycle to start anew. In this this episode we arrive at the inspiration step of the cycle. Specifically we hear from Michelle Girvan from the University of Maryland on how the Watt-Strogatz paper on small world networks discussed in the first episode of this mini-series helped motivate a definitely not insignificant amount of Michelle’s research. Stayed tuned for to this feed for a special bonus live mathematics podcast recorded at MathsJam 2018 which will be dropping in a couple of weeks. It is a weird one and I think y’all will enjoy it.